Pop culture offers an opportunity for Christians to start conversations about Jesus in a way that is relevant + fresh. When it comes to the secular world, it sometimes feels easier to remain separate from pop culture, to draw hard boundaries around art, movies, books, magazines, and all forms of media or entertainment that don’t seek first to glorify God. We can win souls for Christ through shared connection and interests, if we choose to envision people who don’t know Jesus not as living on the other side of an unseen divide, but as thinking, feeling human beings who have much in common with us. How can we turn hearts if we see ourselves as battling against non-believers, instead of doing the very real work of sharing the GOOD NEWS: Jesus came to save us ALL?! Major pop culture moments, like the release of a blockbuster film beloved by millions, are an effective way to reach others where they are. 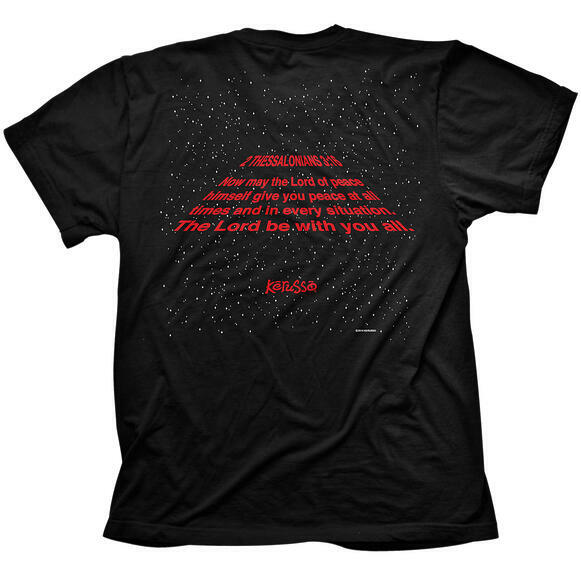 Wearing a conversation-starting T-shirt that turns a pop culture image into a message of Good News, lets us be a light for Jesus in this world in ways we may not have imagined. this is your chance to bring Jesus into the conversation! Our new May The Lord 2 T-Shirt in Youth and Adult sizes is destined to be a customer favorite, and an awesome way to share the Good News! 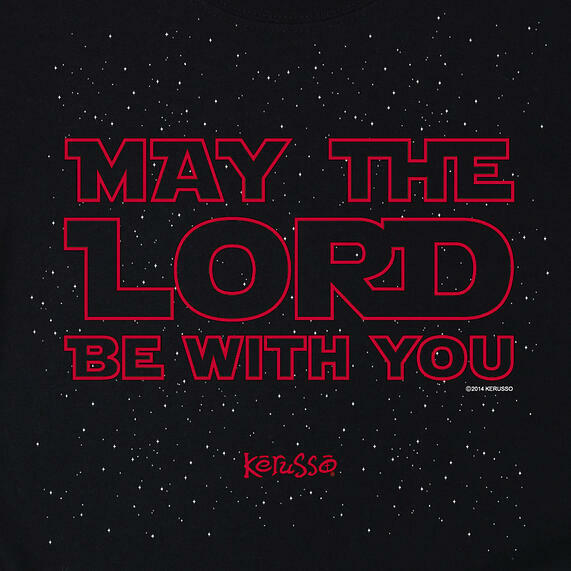 It’s a fun nod to a pop culture phenomenon, and an even bigger shout out to our magnificent Creator God, the maker of the earth, moon, stars and galaxies far, far away.